It all starts with having the perfect desk. 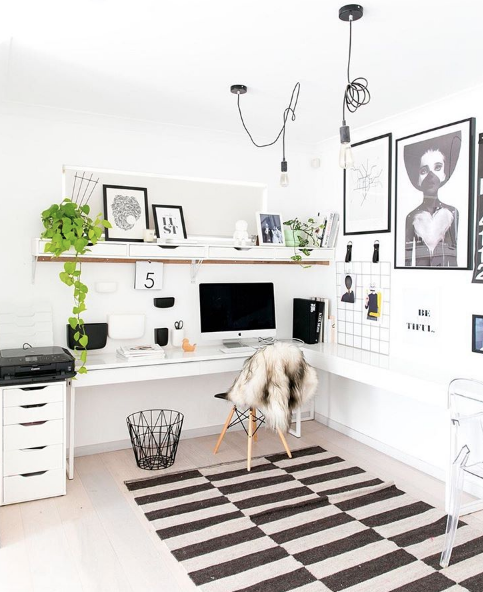 Depending on what you need the office space for, you’ll want plenty of space to spread out, stay organized and get the job done. Once you find the desk that’s right for you? The rest will follow. Next up, and of equal importance, is a good, solid chair. Gone are the days of having to use a run of the mill, wheely office chair. Provided that the chair you choose is comfortable and the right height for your desk? You can pick any stylish seat that suits your fancy! You’ve probably been told this again and again since you were a kid, but the key to getting good work done is being organized. 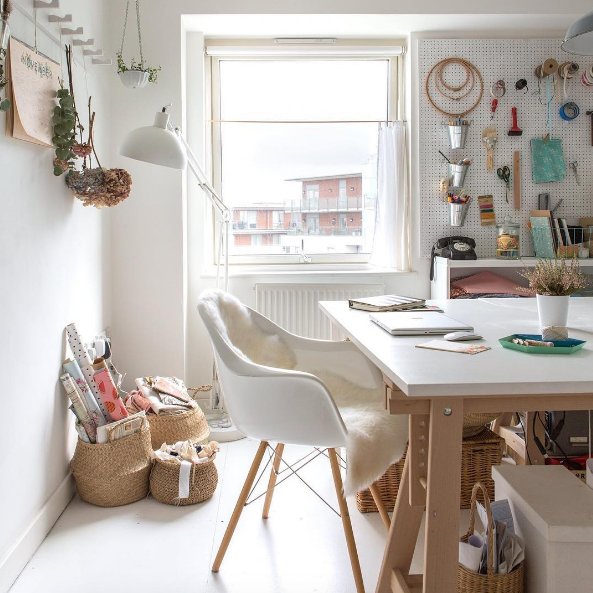 If you want your home office to remain clean and stylish, as well as highly functional then it’s worth investing in some organizational tools. Whatever it takes to keep things in order – shelves, filing cabinets, drawers – an efficient work space is essential. Just because we’re talking about work doesn’t mean you can’t have a little fun! What makes a home office? The accents of course! 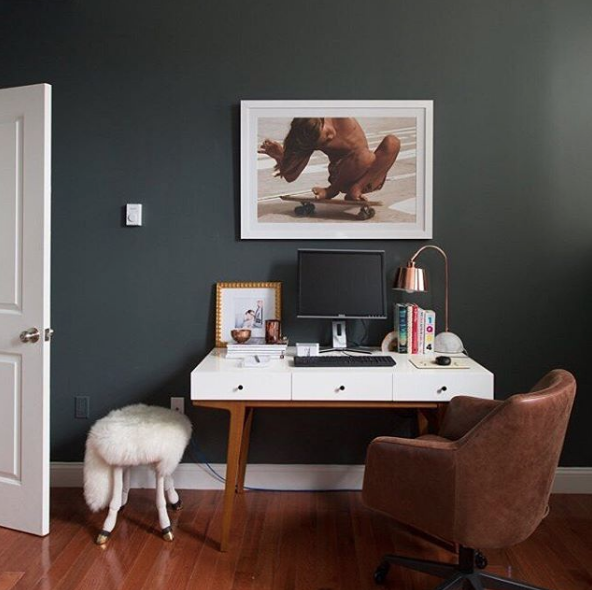 Whether it be personal framed photos, quirky objet d’art, or a super chic table lamp, the decor extras you add to your home office will take it to the next level. 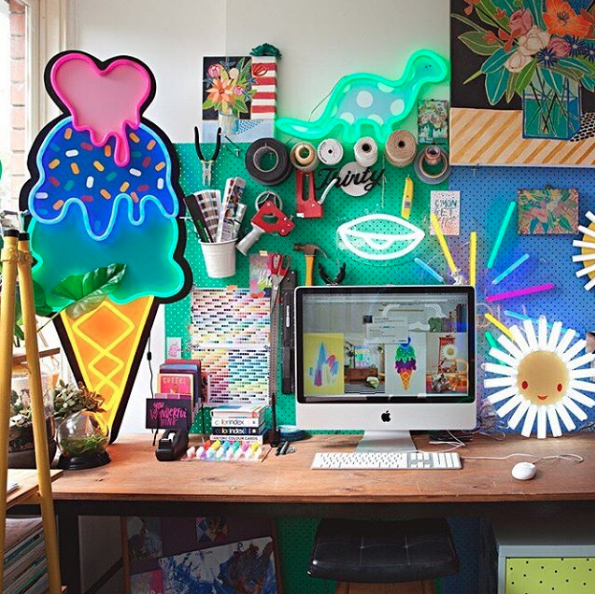 Last but not least it’s important to set an overall vibe for your home office. This may sound obtuse, but we swear it’s a necessary consideration. It’s not always easy to drag yourself away from what you’re doing and sit down to get things done. 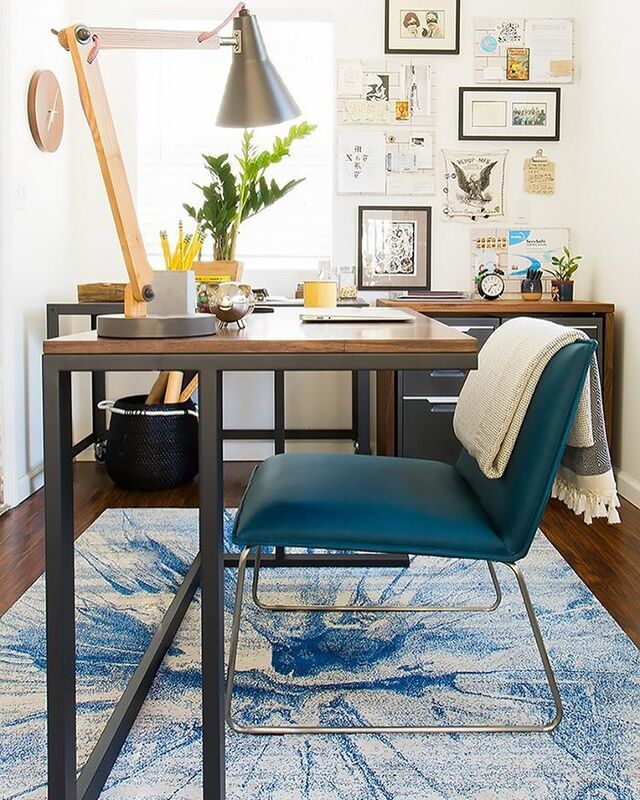 By creating your dream home office, a space that will inspire you, you’ll actually want to do work! And good work at that. That’s when the magic will happen!